The southern part of the Kyparissia Gulf, in western Peloponnese (Greece), hosts the second largest population of Caretta caretta in the Mediterranean Sea (an average of 529 nests annually). Particularly the 6 miles beach between the Neda River and the village of Kalo Nero on the southern Kyparissia Gulf is one of the few coastal areas in Greece that remains unspoiled. It houses a well preserved dune system and a coastal forest, unfortunately threatened by the uncontrolled development. 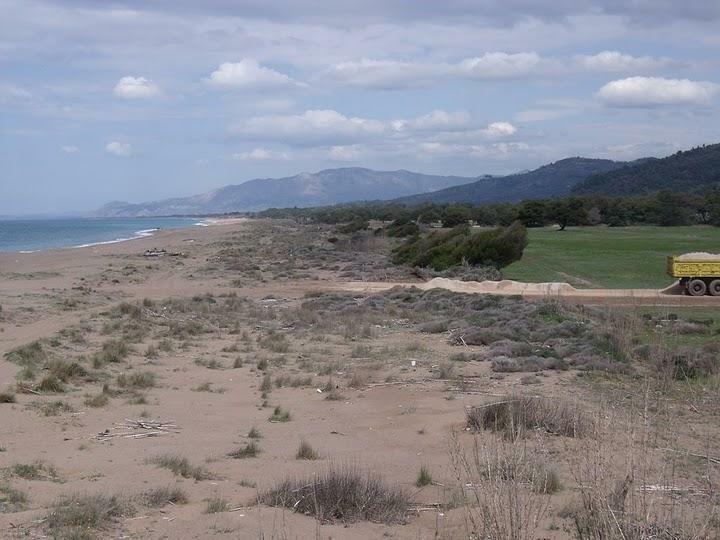 This area has been included in the European network Natura 2000 under the code name Dunes of Kyparissia (GR2550005). The first signs of destructive development are starting to appear, due to the inability of the Ministry of the Environment to push through basic and necessary legislative acts for the effective protection and management of the area. Summer houses are built on the nesting beach and more are in the process of reconstruction. Five coastal roads that lead directly to the nesting beach have been built between Elaia and Ayannaki. Lights coming from the roads and the newly erected houses shine directly on the nesting beach. The coast in front of Kalo Nero is virtually inaccessible for the sea turtles, due to the large number of umbrellas and sun-beds, while the lights from the bars and restaurants on the nearby street are a constant annoyance to the sea turtles when they come to nest. The general area and consequently the loggerhead sea turtles are mainly threatened by the degradation and erosion of the dunes and the nearby forest, caused by road works, construction activities and also by land encroachment due to tourism and agriculture. The major ecological value of the area lies on the dune ecosystems. 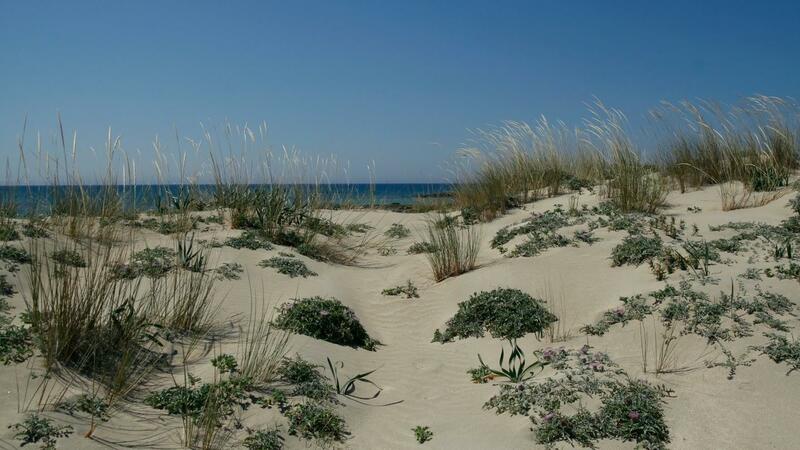 Dune ecosystems in Greece are being reduced both in number and in size and in some cases have completely disappeared. These coasts of the western Peloponnese, with their well-developed dune system, remain an ideal nesting site for the loggerhead sea turtles. A big part of the dunes from Elaia to Kalo Nero has been converted to rural areas or is used for the grazing of domestic animals. With the first comprehensive report which our Association submitted to the Bern Convention in August 2010, we called for the European Council to exert its influence in order to persuade the Greek government to fulfill its duty by introducing and enforcing the appropriate legislation, necessary for the proper management of this significant habitat which is a part of the European network of protected areas NATURA 2000. 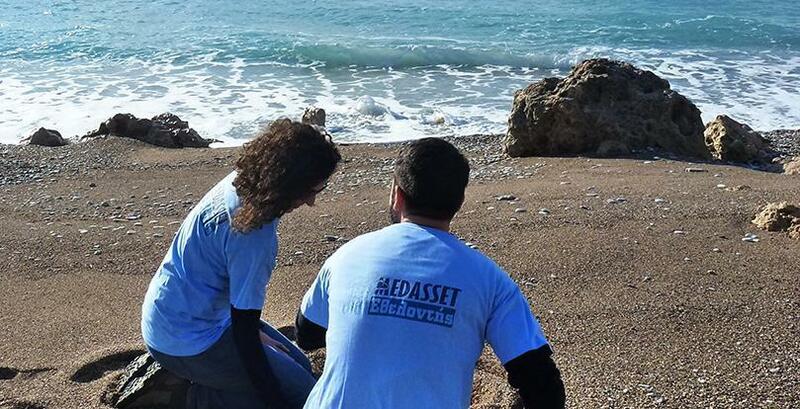 MEDASSET and other environmental organizations exerted enough pressure, on local, national and European level, forcing the Ministry of Environment, Energy and Climate Change (MoEECC), even belatedly, to take action and undertake the implementation of series of measures and acts which would ensure the effective protection of the sea turtles and their habitats. Following MEDASSET’S report and by request from the Secretariat of the Bern Convention, the Greek Ministry of Environment (MoEEC) informed the European Council (15/3/11) that the adopted law for the biodiversity will ensure a more effective protection for all the NATURA 2000 areas and priority species, such as sea turtles. The same answer was given earlier to the European Commission (22/12/10). The MoEEC pointed that planning and securing a Joint Ministerial Decision (JMD) which would provide legal protection for the whole NATURA area of the southern Kyparissia Gulf was included in the immediate agenda of the state. Under the threat of the EU taking action against Greece at the European Court, due to insufficient protection of both the loggerheads and the area and after the Detailed Opinion sent by the European Environment Committee in September 2012, the MoEEC suspended all construction activities and also suspended any issuance of licenses for canteens on the beach, until the JMD that would explicitly describe the special protection status of the area was issued. In order for the MoEEC to meet its national and international obligations and avoid the heavy fine in case of conviction, it created a Special Committee charged with promoting a legislative framework for the protection of the area and the sea turtles. But the Committee didn’t fulfill its promises that would ensure all of the above and as a result the issuance of the JMD was delayed. The JMD would have provided conservation status for the area until the issuance of a Presidential Decree. In December 2013 a legal audit of acts and deeds was conducted by a mixed unit of inspectors from the Special Secretariat for the Environment and Energy Inspectorate (SSEEI-MoEEC) and a controller from the Inspectors-Controllers Body for Public Administration related to the case of road and building construction on a site of Community Importance (SCI) in the town of Kyparissia, Messenia, part of the environmental network Natura 2000,. The audit was followed by a report from the General Inspector of Public Administration Mr. Rakintzis to MoEEC and the EU which showed a large number of environmental legislation violations but also the damage caused to the habitat. In March 2014 the EU brought Greece to the European Court after a letter of formal notice and a reasoned opinion and assessed that the actions taken by the Greek State were insufficient for the protection of the loggerhead sea turtle and the southern Kyparissia Gulf. In a letter to the ministry, the EU notes that the decision to refer Greece to the European Court does not mean that the measures taken so far are towards the wrong direction but a conviction and the appearance of the Greek authorities to the European Court will hasten the completion and implementation of a Presidential Decree for a complete protection of the area after all that time (the first accusations for environmental legislation violations of the area were made in 2010). In December 2014, the Standing Committee of the Bern Convention on the Conservation of European Wildlife and Natural Habitats adopted a Recommendation at its annual meeting urging Greece to prevent habitat deterioration and ensure improved protection of Southern Kyparissia Bay. MEDASSET is closely monitoring the developments, gathering data and taking part in every consultation.